The Arizona Cardinals are starting fresh in 2018. Football bettors will have a lot to reassess as the Cardinals have made several changes following their injury riddled 8-8 showing in 2017. Despite not signing a big free agent, the Cardinals have really bolstered their offense. New coaches and a reliance on young talent from the draft means that sportsbooks will likely undervalue the team. The Arizona Cardinals betting odds will be very favorable this season. With the number ten pick in the draft, the Cardinals selected who they hope to be their franchise quarterback, Josh Rosen out of UCLA. The 21-year old gunslinger has had his leadership questioned in the past, but no one denies his arm talent. He will have big shoes to fill as long-time NFL quarterback Carson Palmer announced his retirement during the offseason. The Cardinals also welcome first year head coach Steve Wilks. A defensive minded coach, Wilks will allow new offensive coordinator Mike McCoy to mold the young Rosen and direct the offense. With a new head coach, offensive coordinator, and quarterback, football bettors do not quite know what to expect from the Cardinals this year. Arizona looks forward to a big year from star running back David Johnson who missed the entire 2017 season with injury. Having him healthy for 16 games will be enormous as his 2016 campaign showed he can be considered an elite back in the NFL. He will likely be relied upon heavily early in the season as the Cardinal quarterbacks attempt to gain experience. The ageless wide receiver Larry Fitzgerald will return for his 15th season. The sure handed veteran will likely be targeted very often by the Cardinals inexperienced group of quarterbacks. The 11-time Pro Bowler has been a staple of the Cardinal franchise for years and proved he can still bring it at a high level, totaling 109 receptions for 1,156 yards and 6 touchdowns last season. With former NFL starting quarterback Sam Bradford on the roster along with Rosen, it is unclear as to who Steve Wilks plans to be his starter. Most believe that Bradford will initially be given the reigns, but Wilks may prove to give him a short leash if he becomes eager to see Rosen’s talent on display. New coach Steve Wilks inherits a defensive core that will need to lock down if the Cardinals betting odds will prove to be profitable. Star corner Patrick Peterson anchors the secondary while Antoine Bethea is looking to build upon his stellar 2017 season in which he recorded 47 tackles and 5 picks. 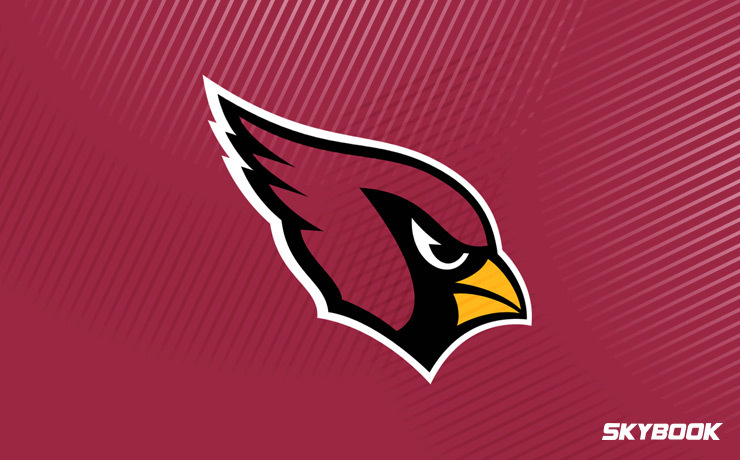 The Cardinals will need to find a way to get pressure on the quarterback this year without leading tackler and rock in the middle Karlos Dansby who left to free agency over the offseason. The Cardinals are projected to be near the bottom of the league this year, listed at 75-1 odds to win Super Bowl 53. Here at SkyBook, we pride ourselves on being the best NFL sportsbook for all of your football betting needs. Throughout the season, we will deliver you game analysis, match-ups, and injury reports. The Cardinals have a lot of unknowns coming into this season which means they could surprise a lot of people. We offer the best Cardinals betting odds along with great bonuses that you will not find at any other sportsbook.